Relieve the fuel system pressure before servicing any fuelsystem connection. 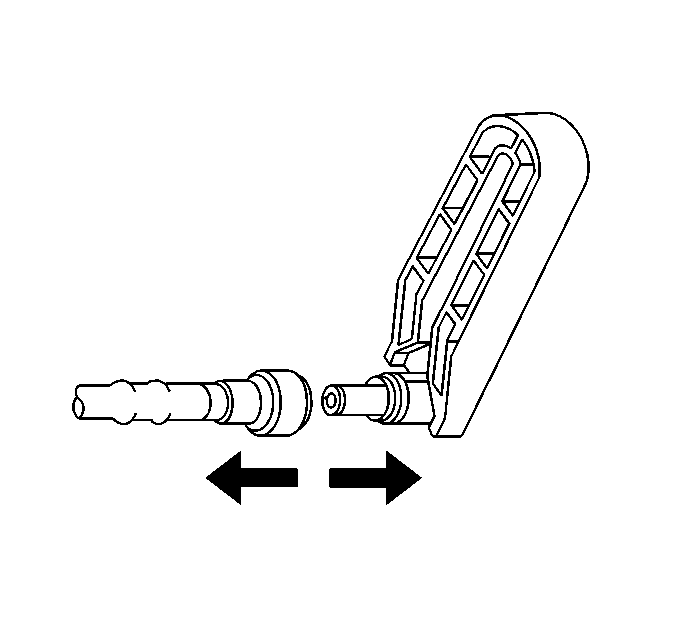 Refer toFuel Pressure Relief.Remove the retainer from the quick connect fitting. Warning:Wear safety glasses when using compressed air, as flying dirtparticles may cause eye injury. 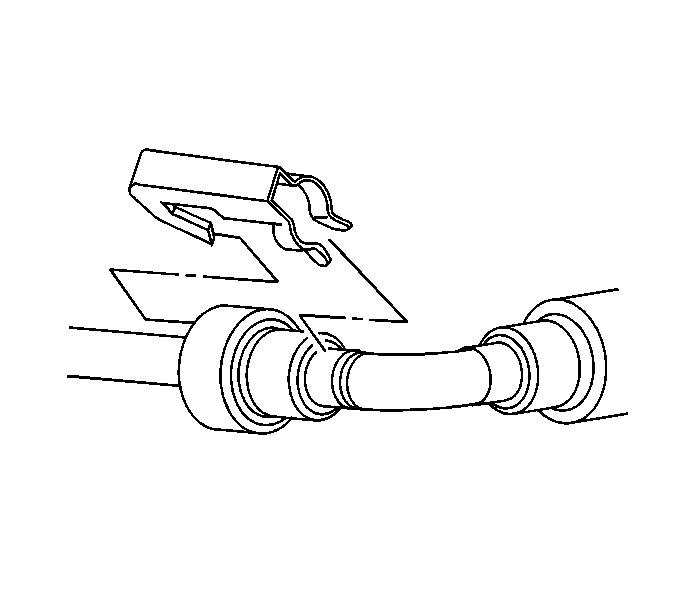 Blow dirt out of the fitting using compressed air. Choose the correct tool from theEN-37088-Asetfor the size of the fitting. 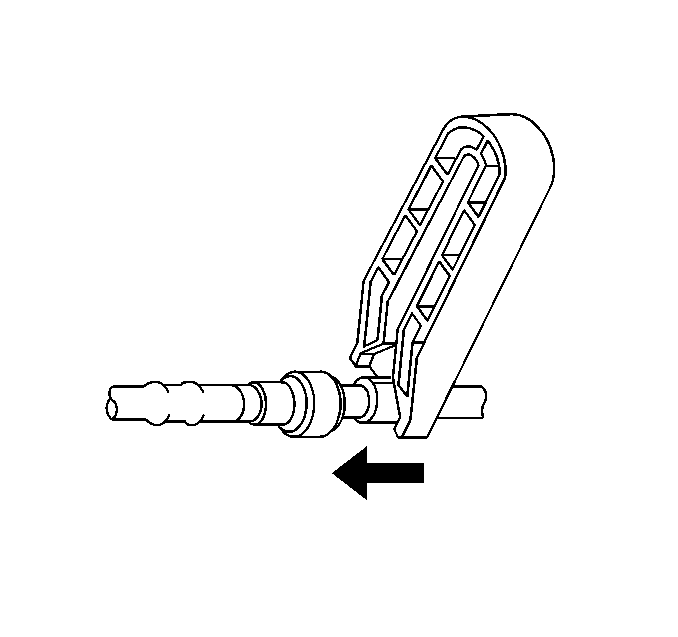 Insert the tool into thefemale connector, then push inward in order to release the lockingtabs. Caution:If necessary, remove rust or burrs from the fuel pipes withan emery cloth. 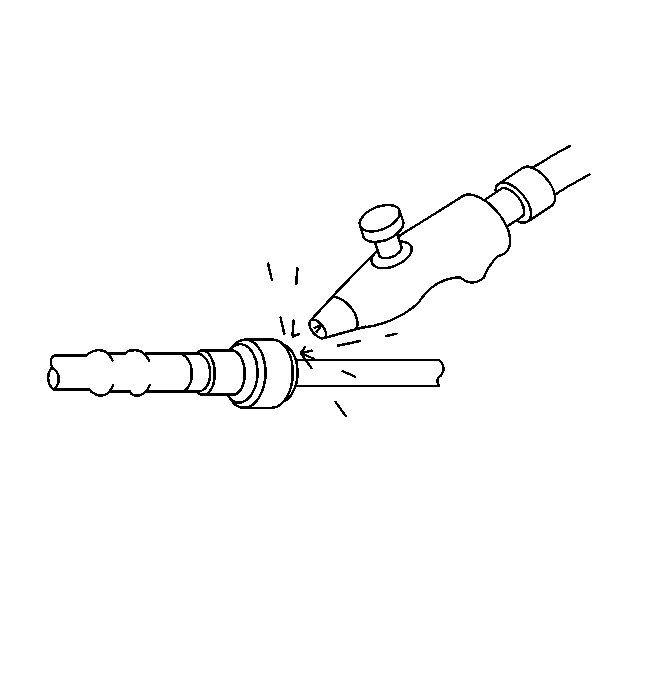 Use a radial motion with the fuel pipe end in orderto prevent damage to the O-ring sealing surface. Use a clean shoptowel in order to wipe off the male tube ends. Inspect all theconnections for dirt and burrs. Clean or replace the components andassemblies as required. 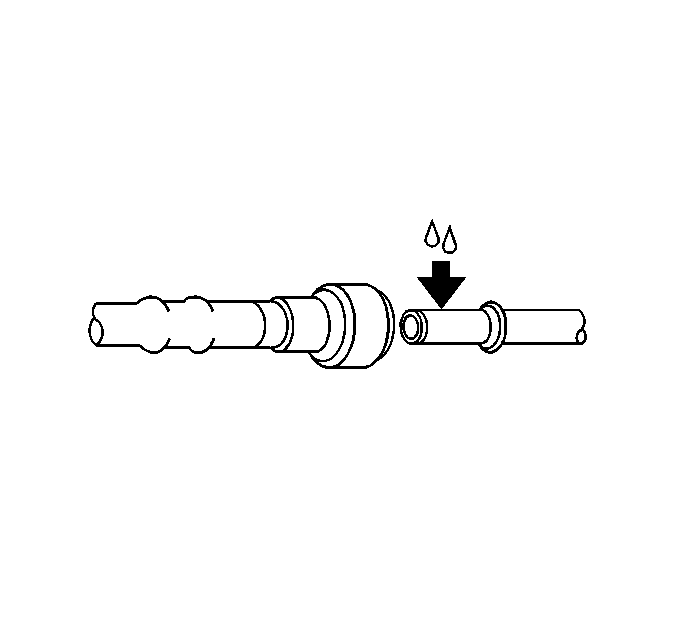 Warning:In order to reduce the risk of fire and personal injury,before connecting fuel pipe fittings, always apply a few drops ofclean engine oil to the male pipe ends. This will ensure proper reconnection and prevent a possiblefuel leak. 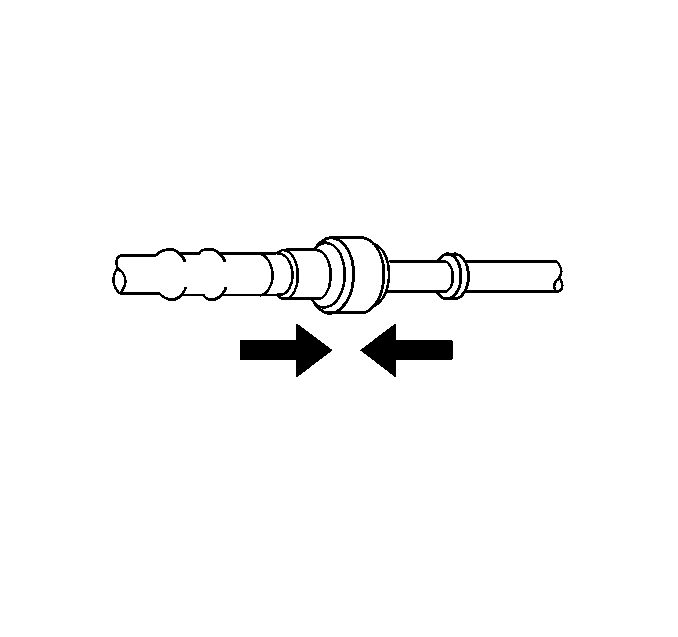 During normal operation, the O-rings located in the femaleconnector will swell and may prevent proper reconnection if notlubricated. Apply a few drops of clean engine oil to the male pipeend. Push both sides of the fitting together in order to snap theretaining tabs into place. Once installed, pull on both sides of the fitting in order tomake sure the connection is secure. 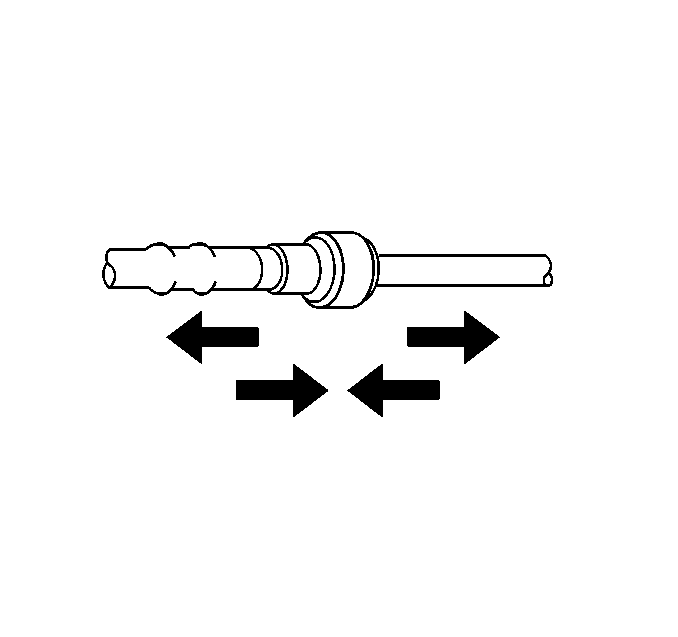 Install the retainer to the quick connect fitting.